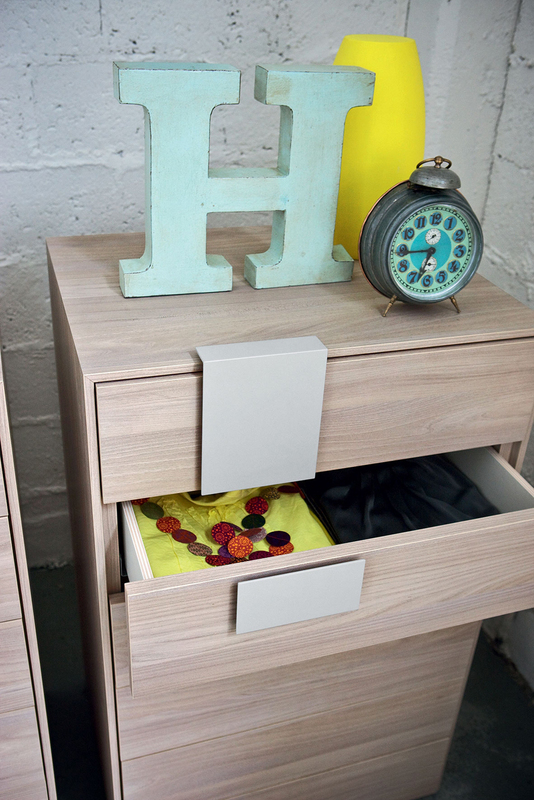 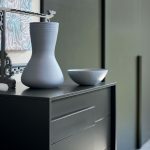 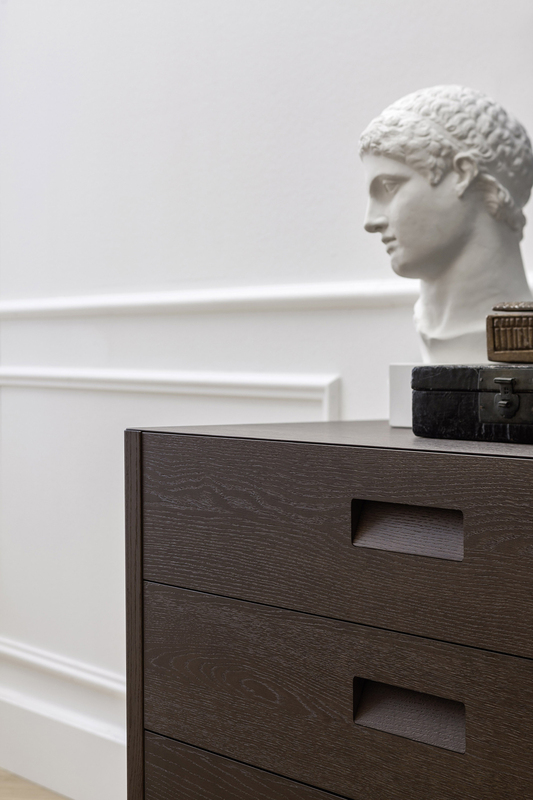 Our modern chests come in a variety of finishes, textures and sizes. 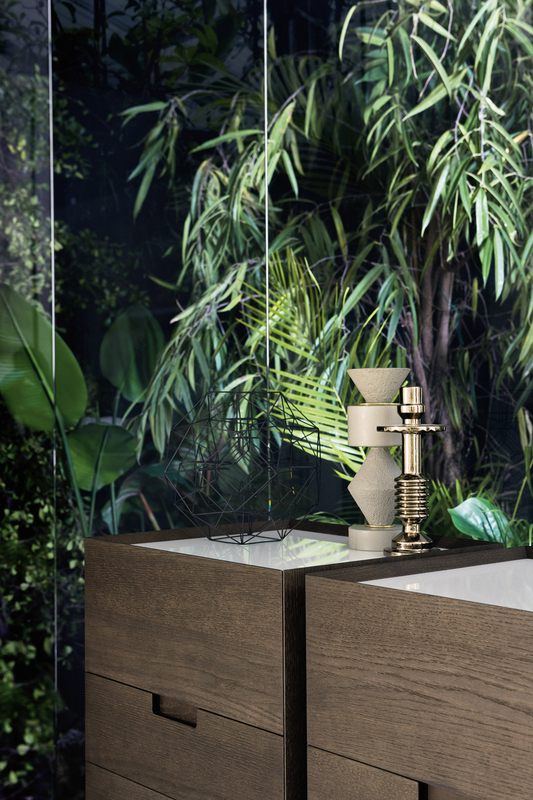 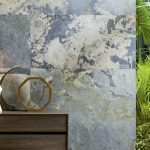 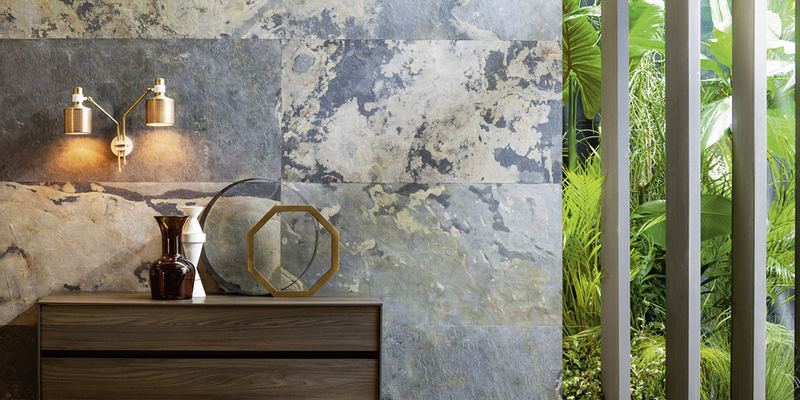 Each with different characteristics to suit the modern elegance our collections offer. 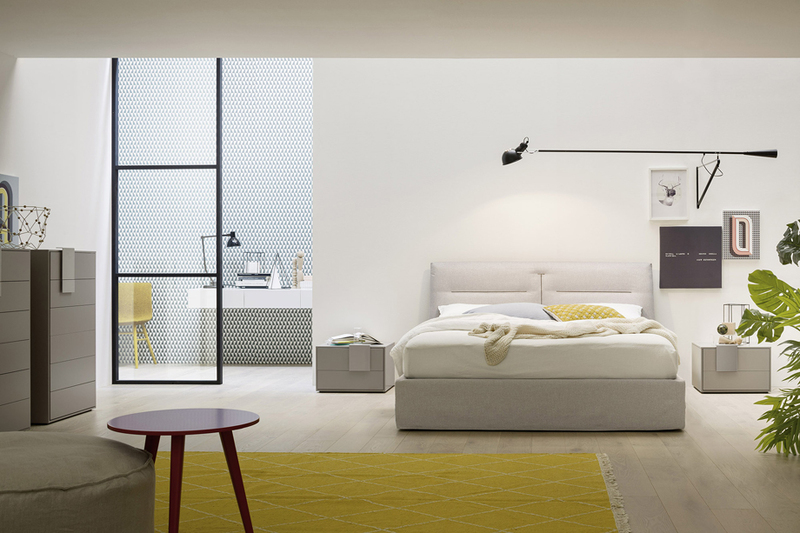 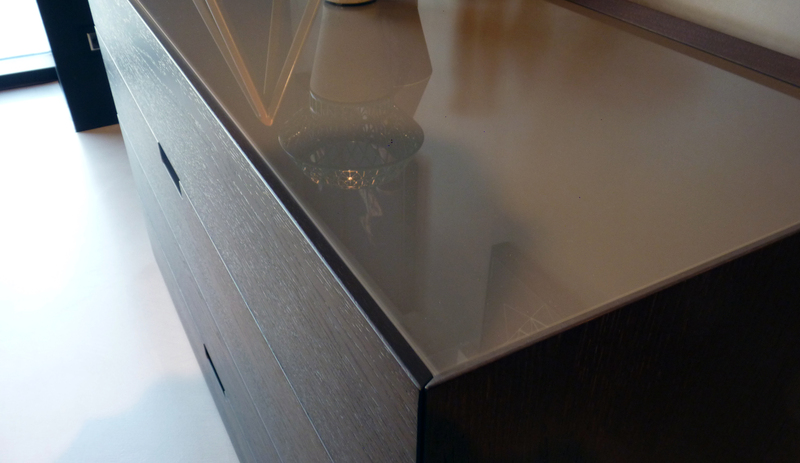 The ranges below each compliment all of our modern furniture. 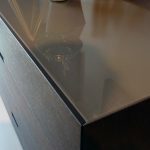 Some of our freestanding low level furniture is also available fitted. 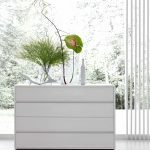 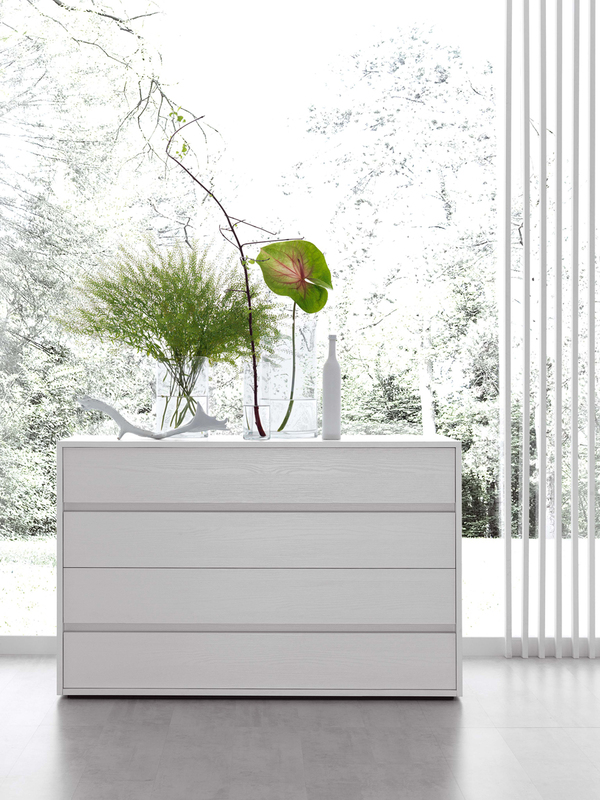 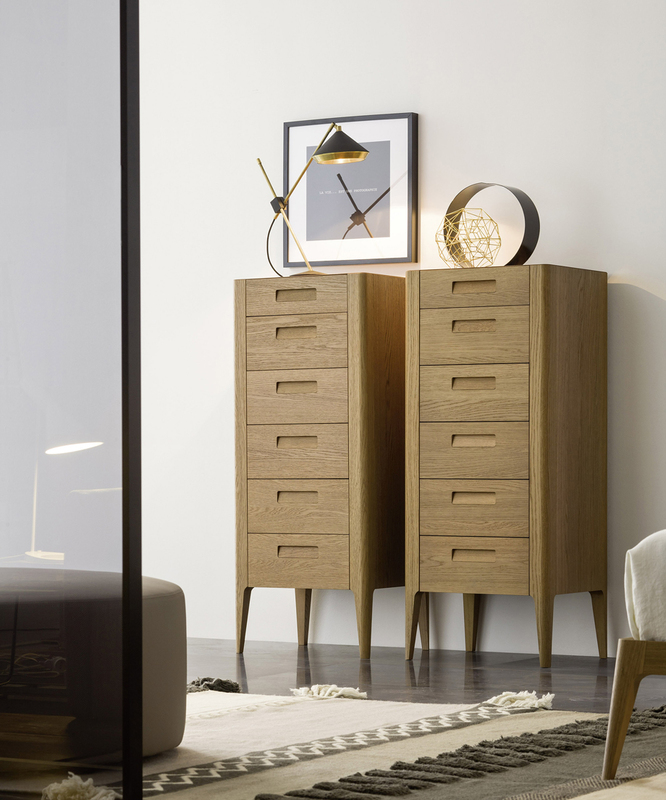 The easy collection of chests has a wealth of different sizes and are available in all the standard modern finishes. 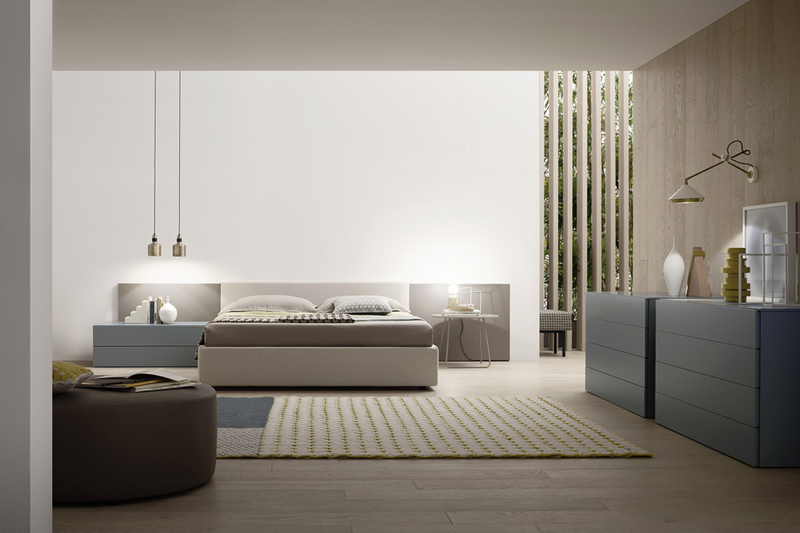 Easy is all about clean simplicity. 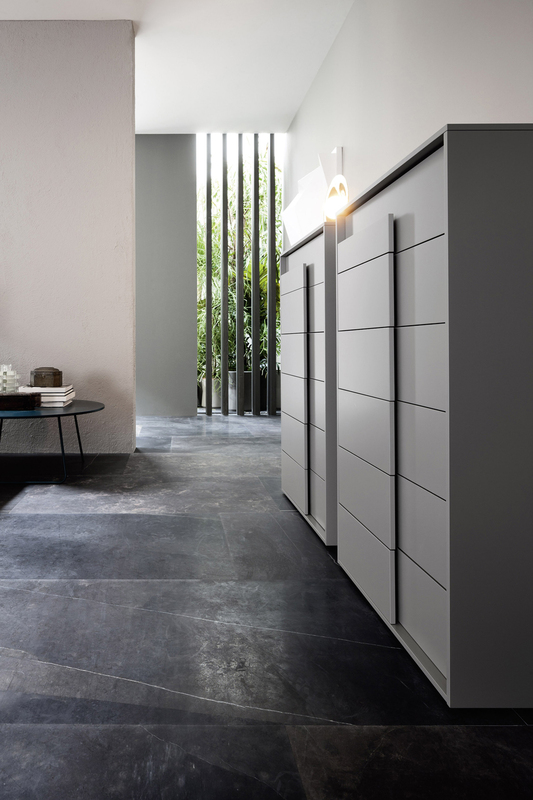 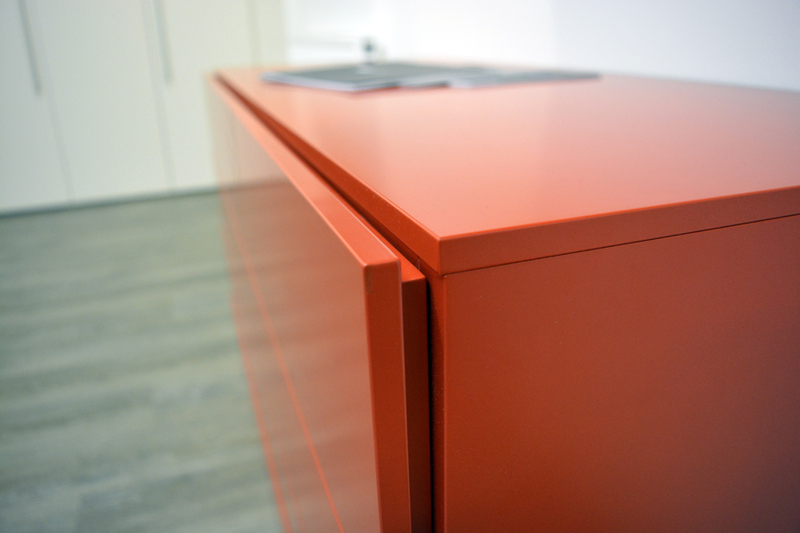 With handle-less, soft closing drawers these units ensure a clean aesthetic that will suit any of our modern ranges. 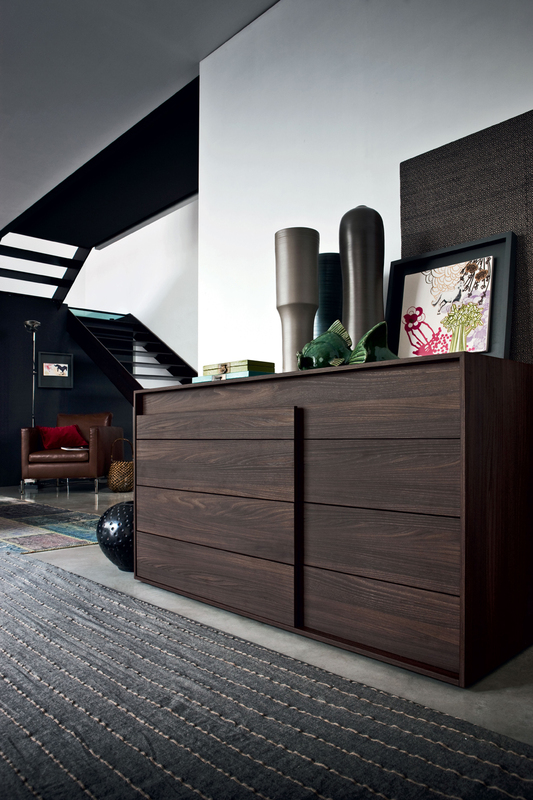 There is a wide range of sizes in this chest style allowing endless options for our customers. 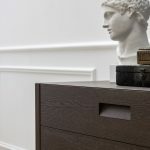 It is possible to combine these chests to make your required width and the range of heights gives versatility to the collection. 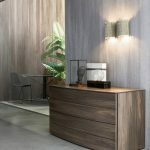 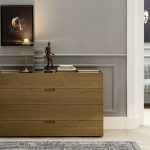 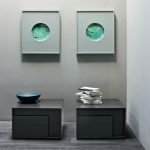 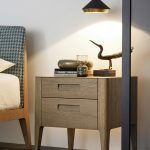 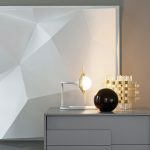 These chests can also be adapted to be fitted between walls, other chests and to create floating dressing table areas. 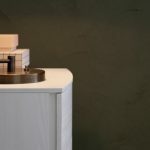 This range is available in textured, eco-woods, matt and gloss lacquer finishes. 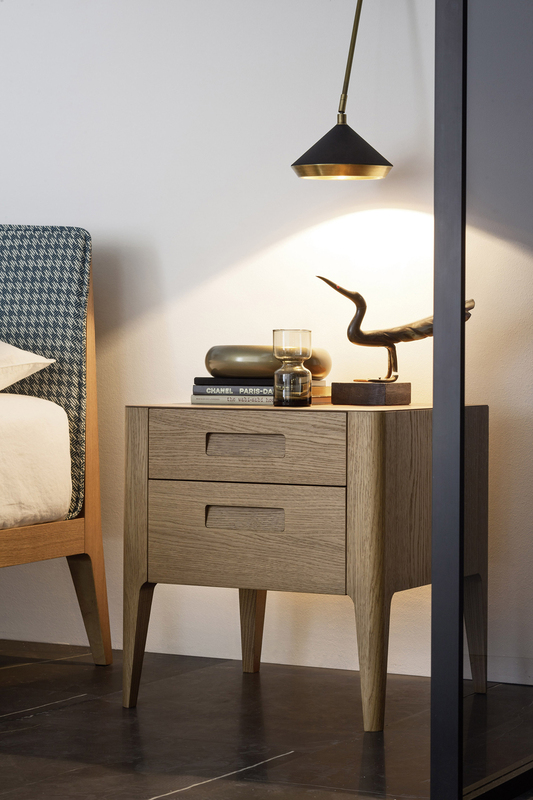 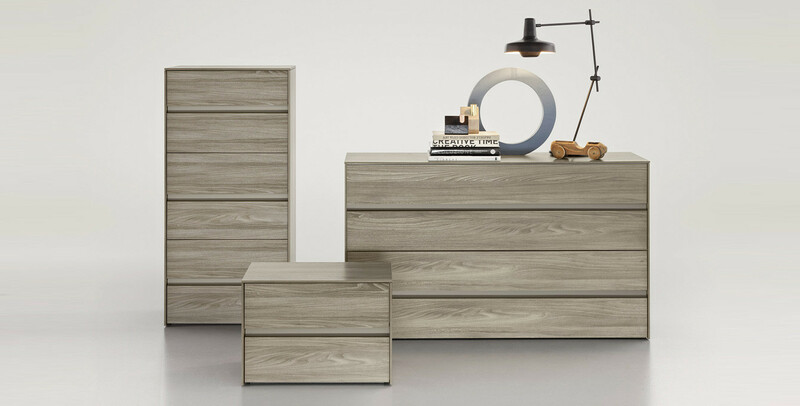 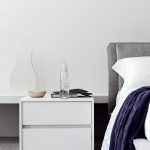 The Pittagora collection of modern chests offers five different size options and is a stylish addition to any bedroom. 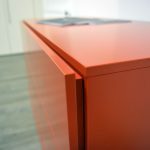 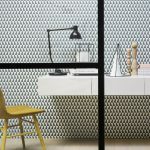 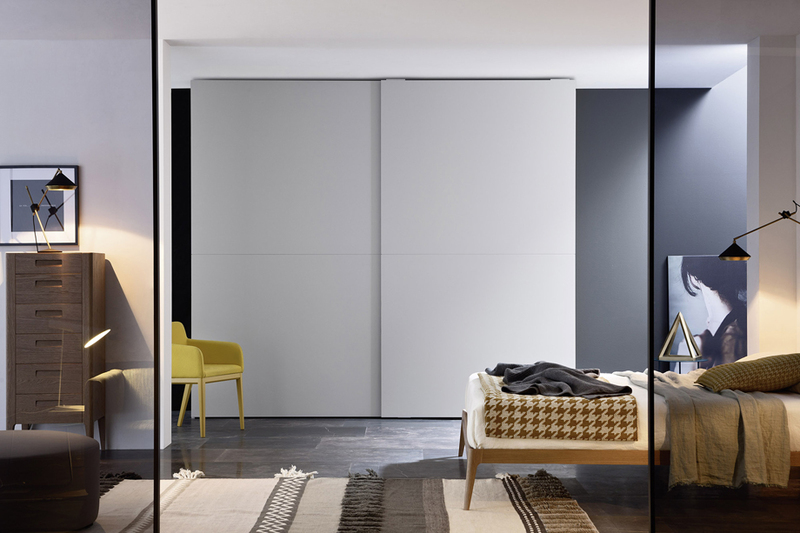 The metal profiles can be lacquered in a contrasting colour to stand out or a colour to subtly blend in with the body of the chest. 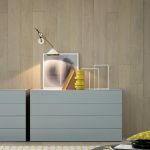  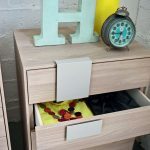 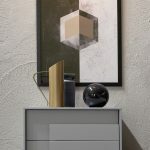 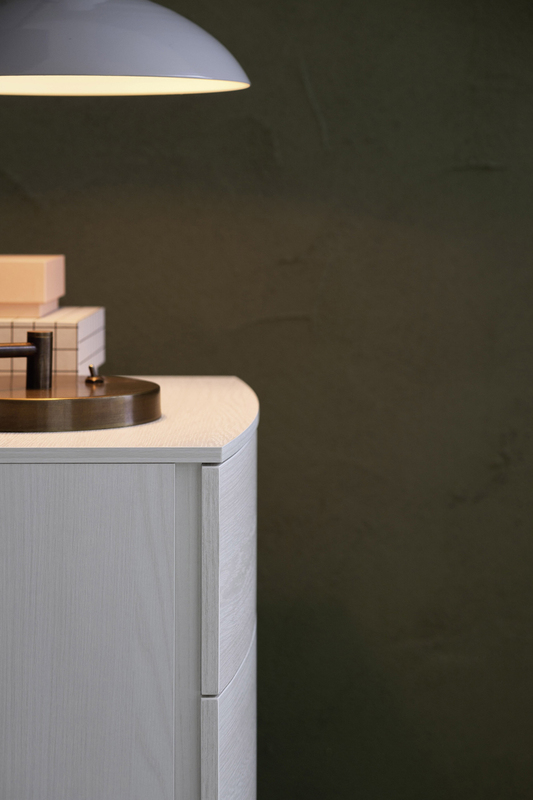 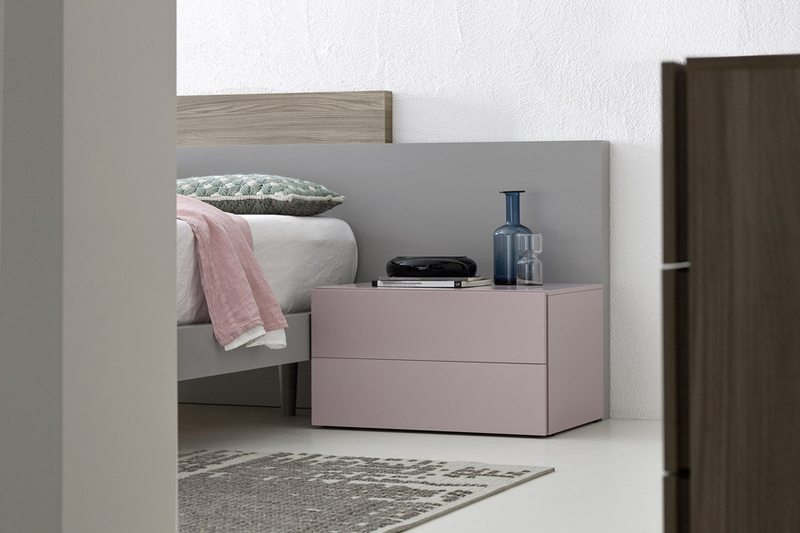 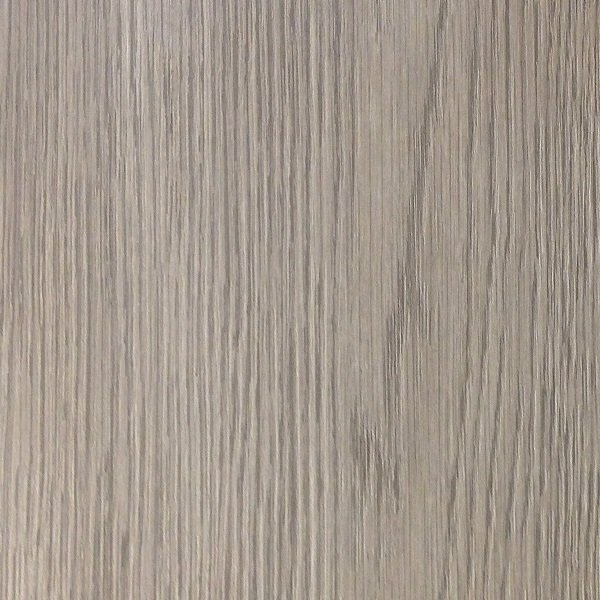 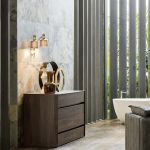 This range can be made quirky with different coloured drawer fronts or choose one of our neutral lacquers for a timeless luxury addition to your home.This range is available in all textured, wood-effect and matt lacquer finishes. 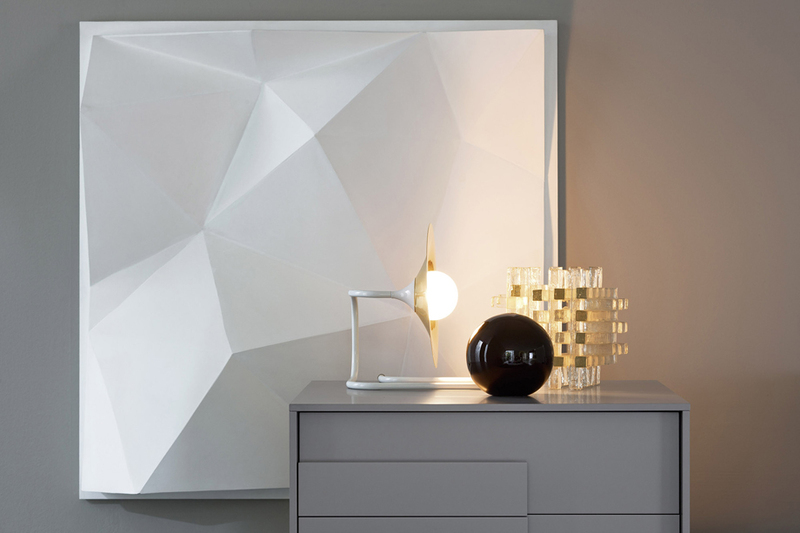 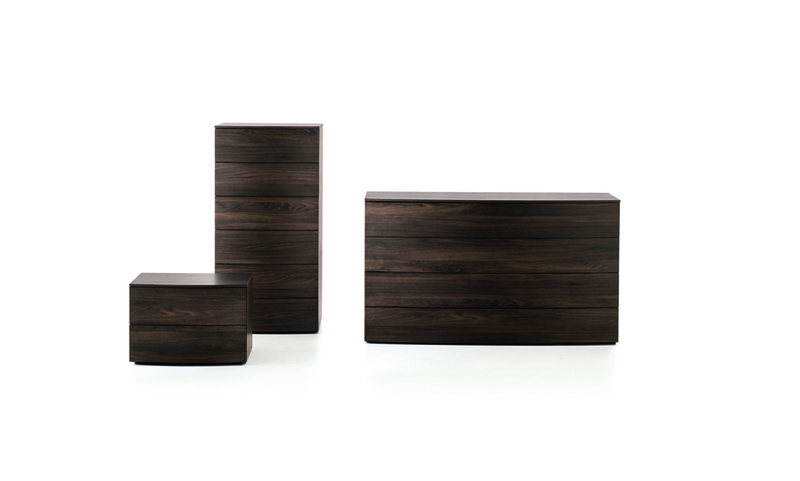 The sleek Overlap chests are available in three different sizes to suit your storage needs. 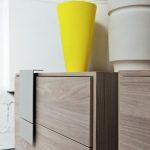 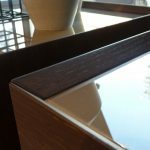 The overlapping panel is both functional and decorative as it is also used as a handle for the top two drawers. 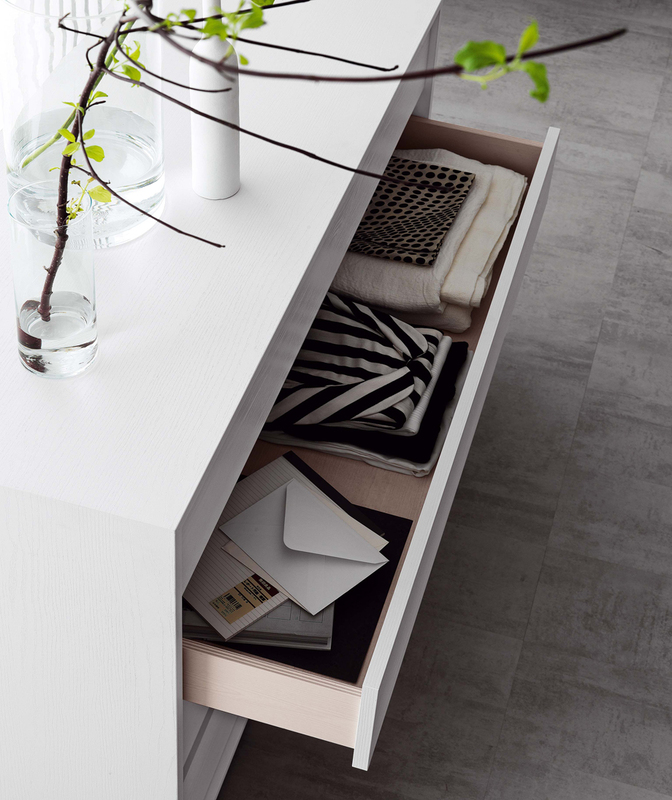 The bottom drawers remain fuss free and handle-less with push to open handles. 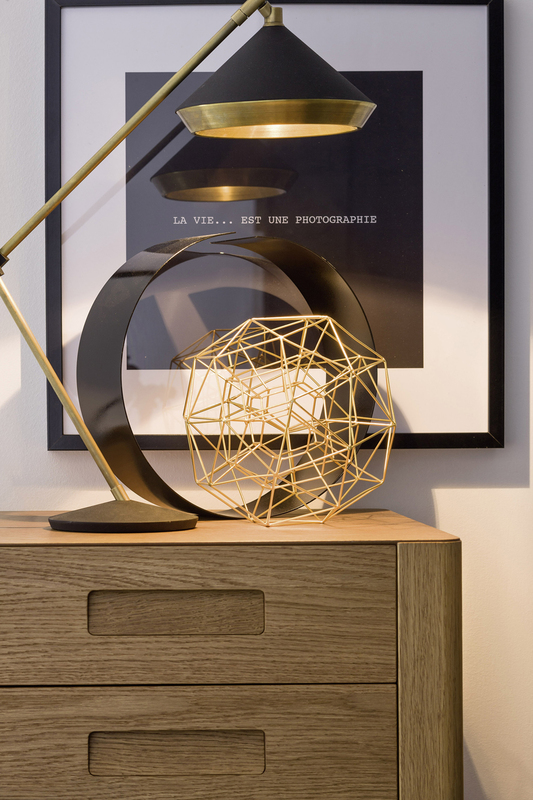 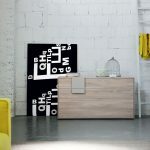 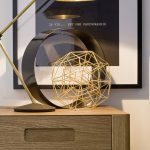 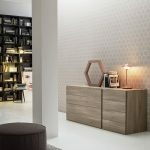 The geometric modern style is available in textured, wood effect and lacquered and can also be designed with a contrasting colour. 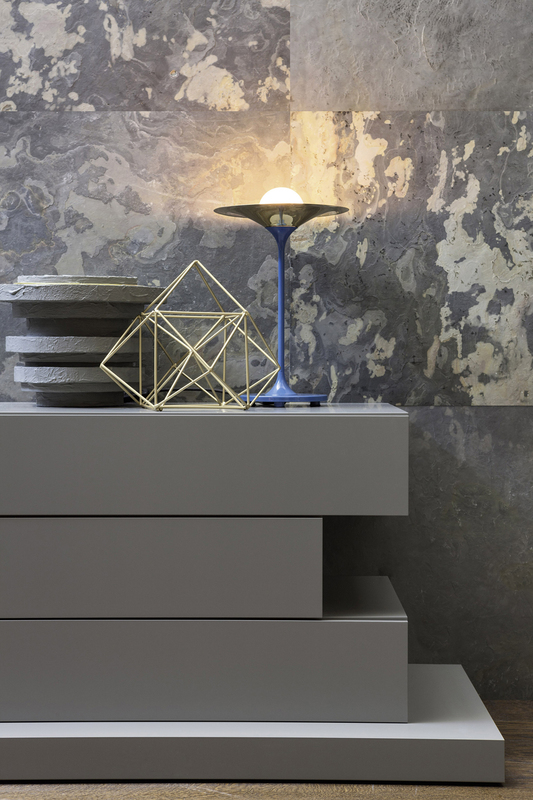 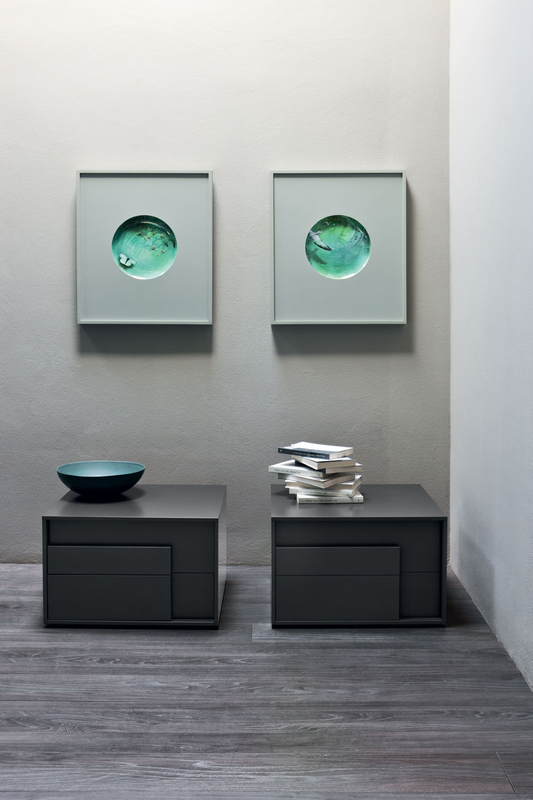 The Dotty chest collection offers three different sizes to suit the modern home. 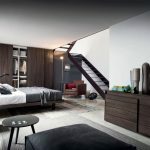 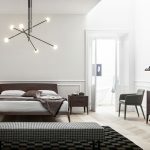 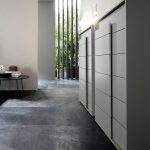 Their unique design creates a multi-faceted aesthetic with simple detailing to add character. 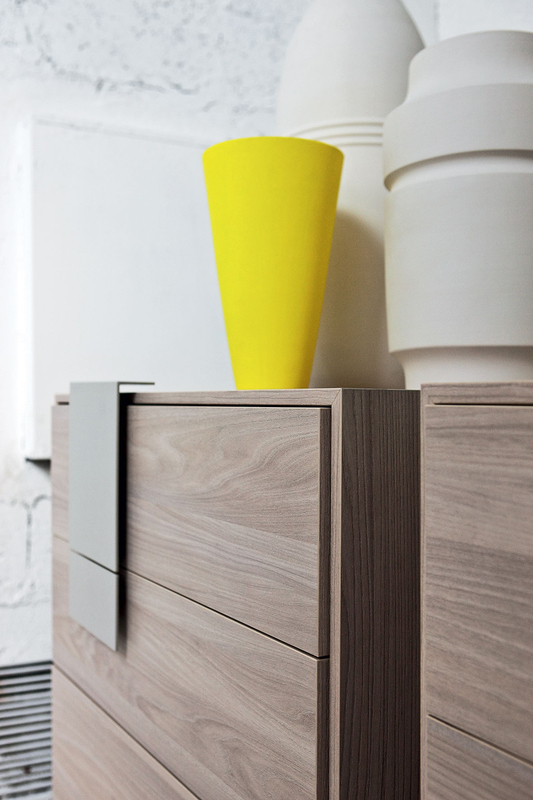  The handle area can be burnished, real wood veneer or lacquered in a choice of the colour options below. 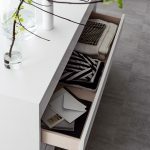 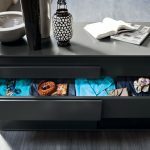 If you are looking to add a unique look to your space this range can be made with the carcass and drawer fronts in different colours. 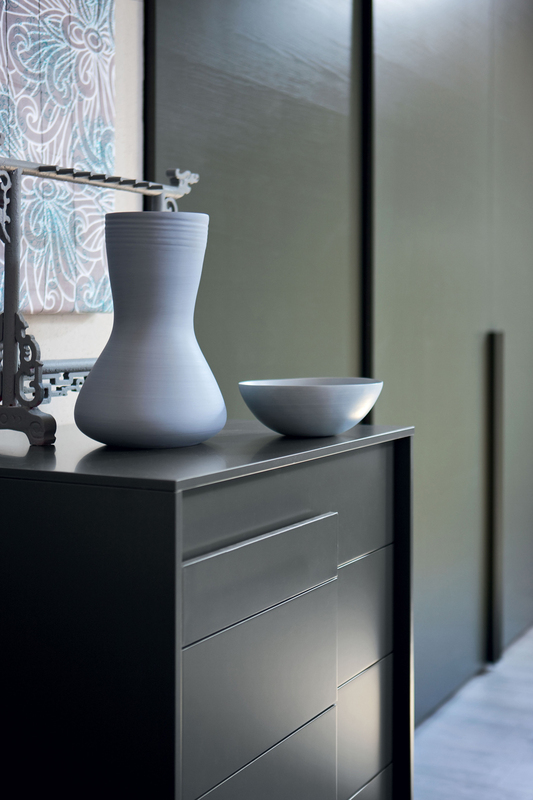 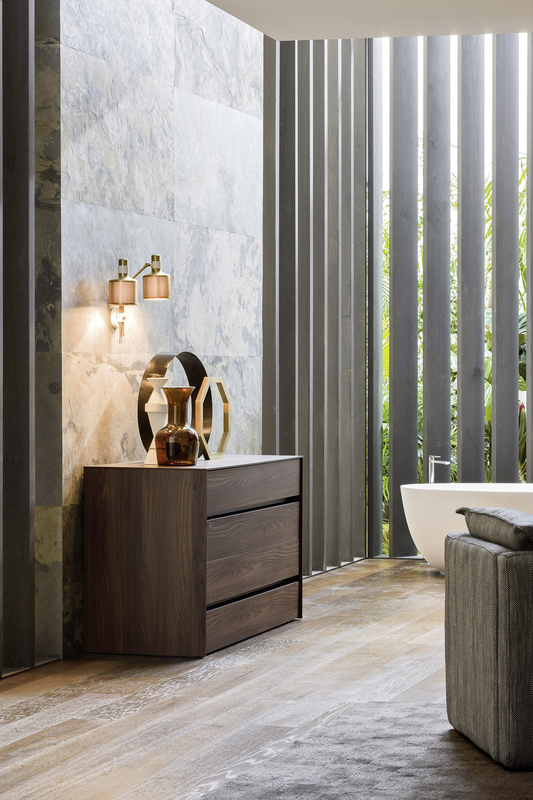  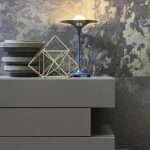 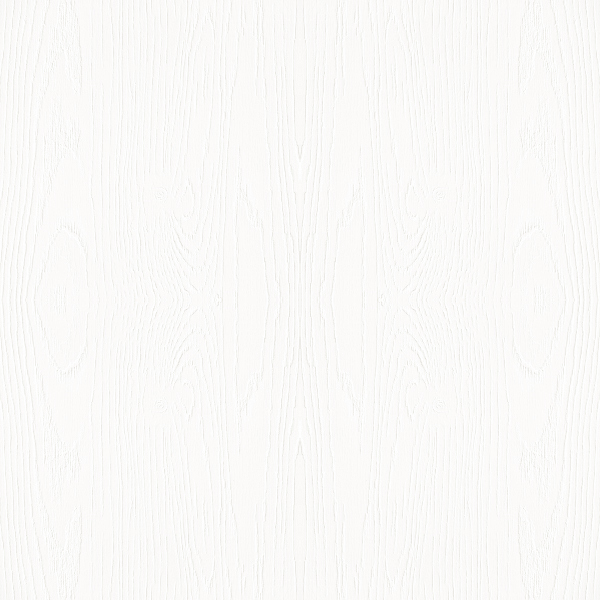  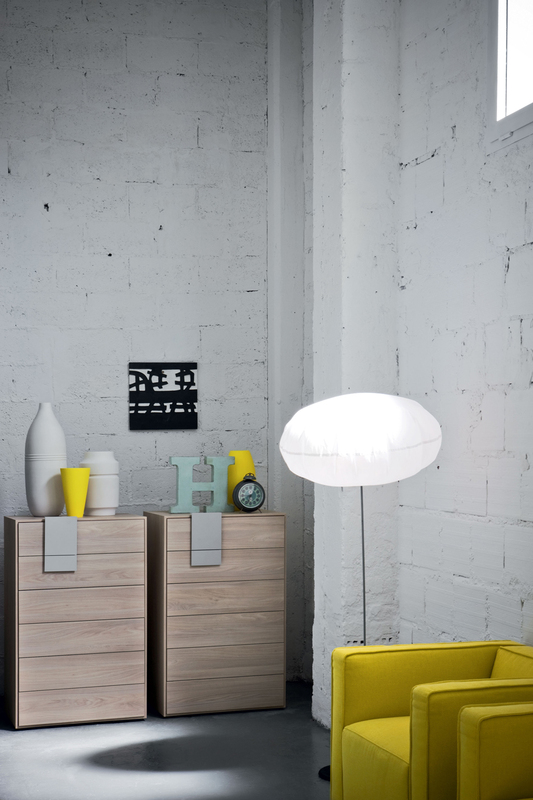 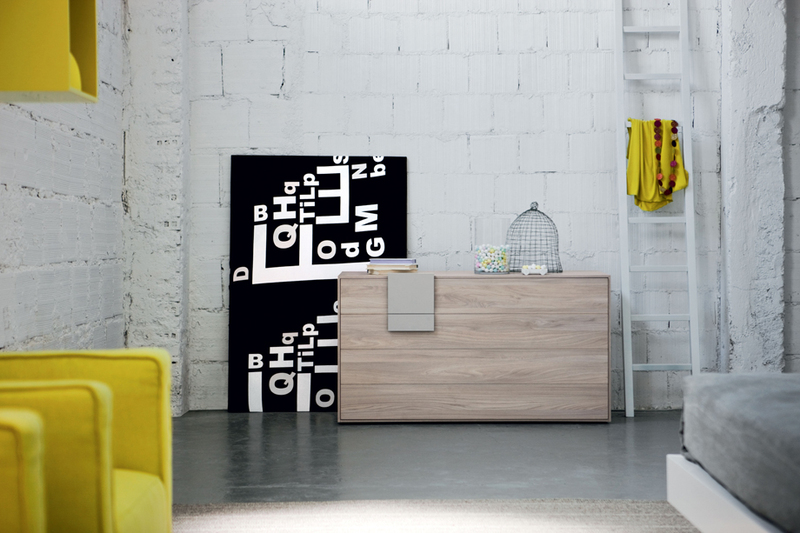 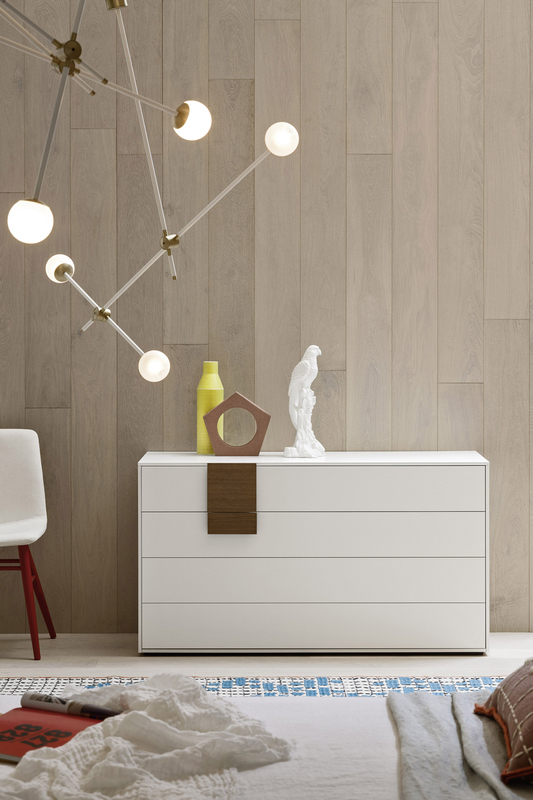 This range is available in all textured, wood-effect and matt lacquer finishes. 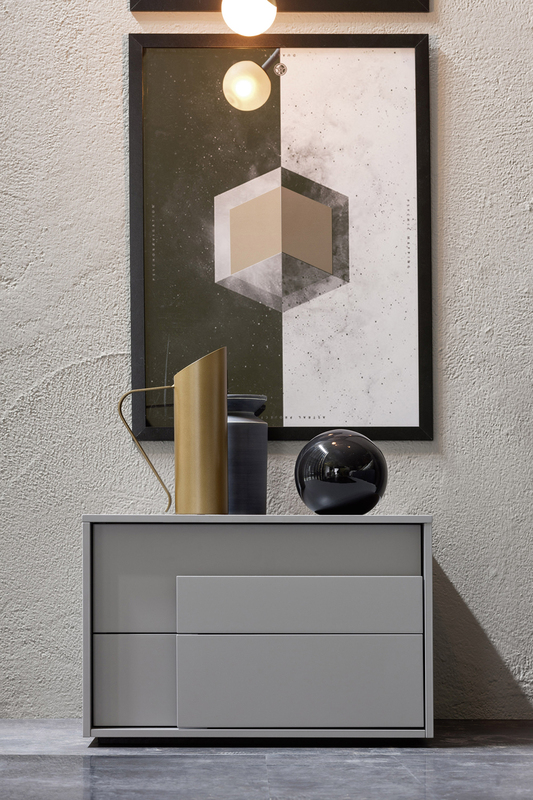 The Globe chest collection offers three different sizes. 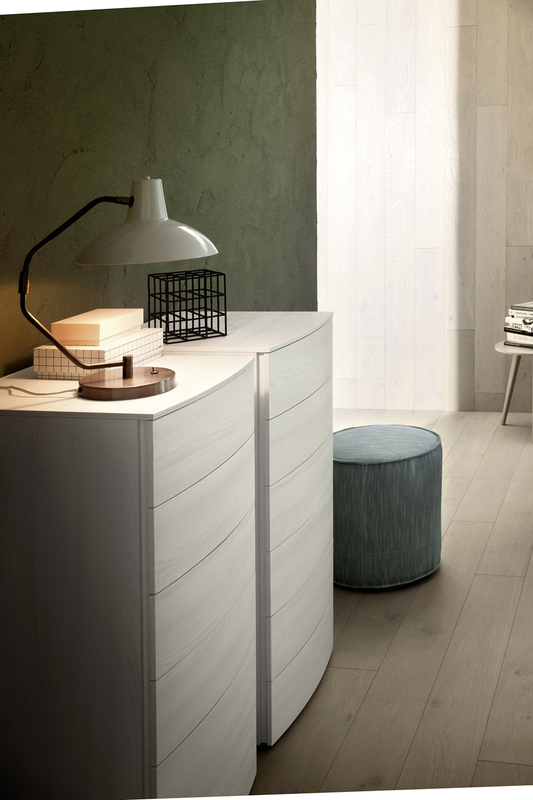 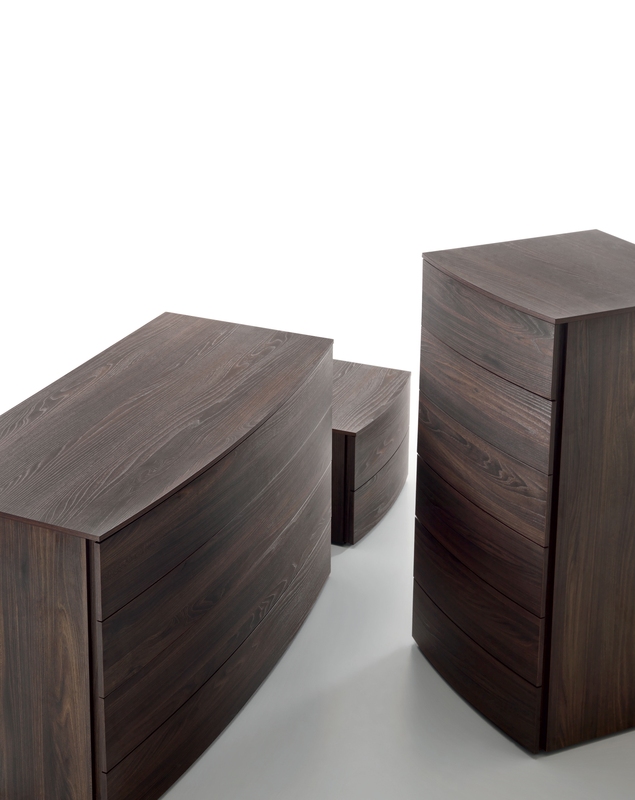 The organic curves on the drawer fronts create a sense of fluidity. 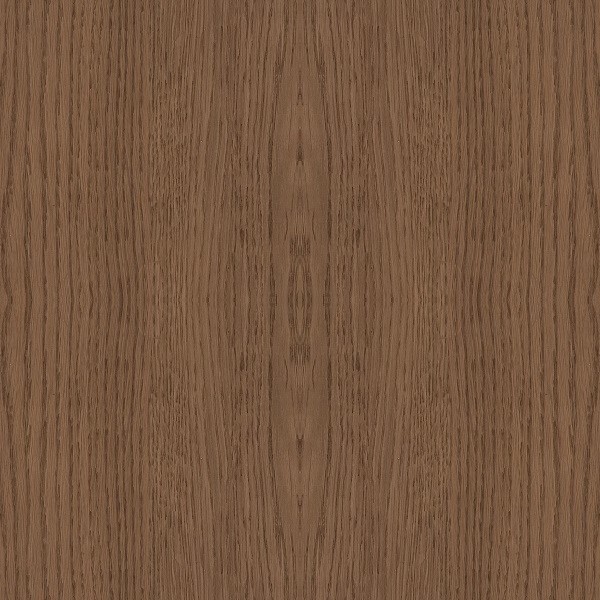 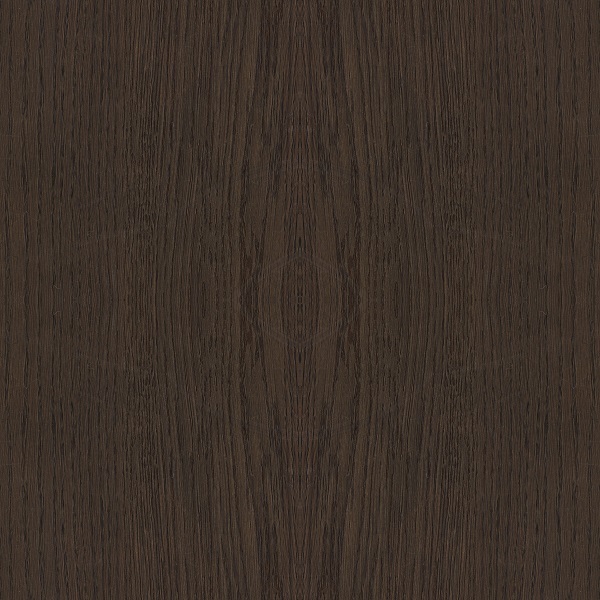  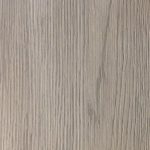 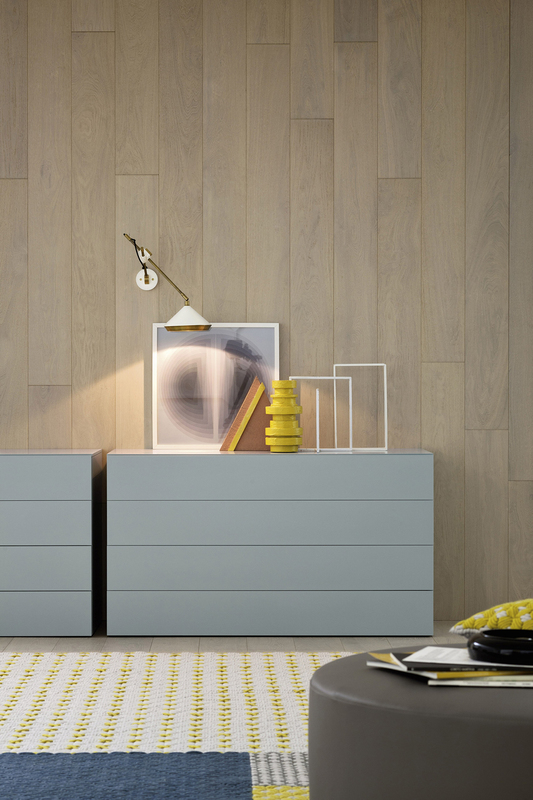 This range is available in wood-effect finishes. 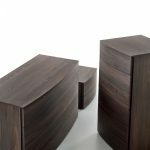 The patterns of the wood add a sense of natural colour to the end result. 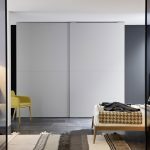 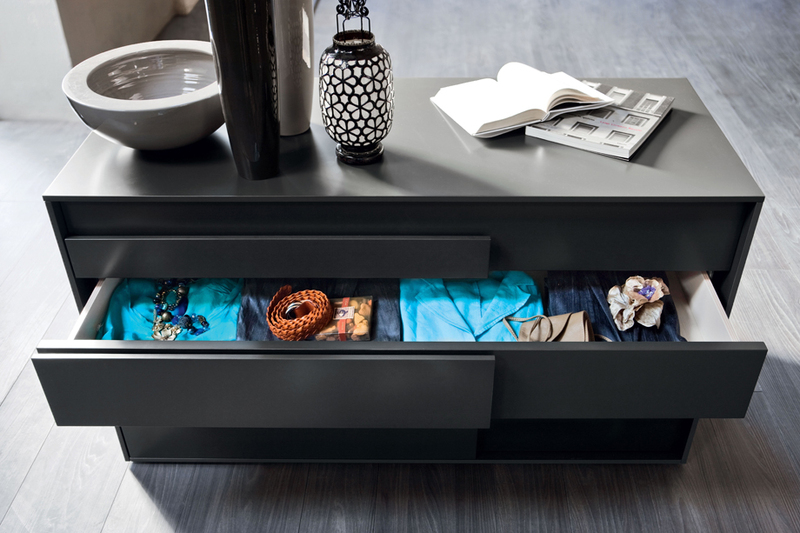 Used alone or in combination with one of our modern wardrobes these will add beautiful storage to your home. 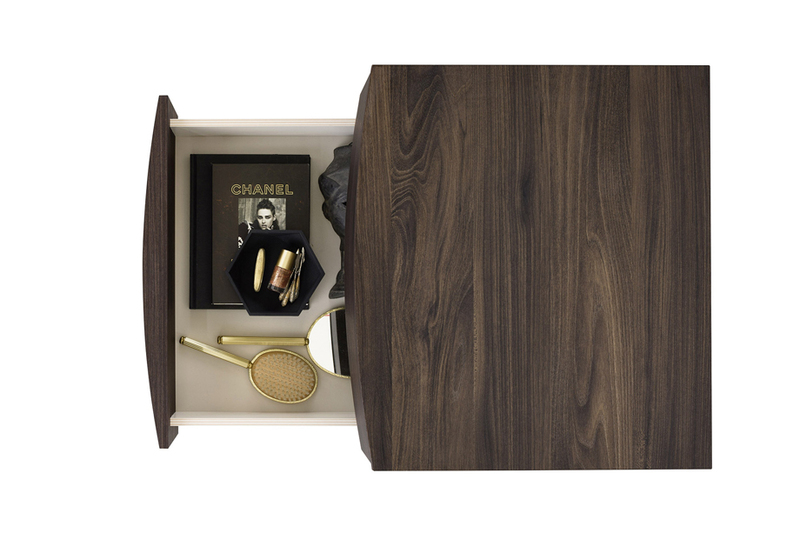 As well as offering beautiful foil wrapped, matt and gloss lacquered finishes we also offer some chest ranges in real wood veneer. 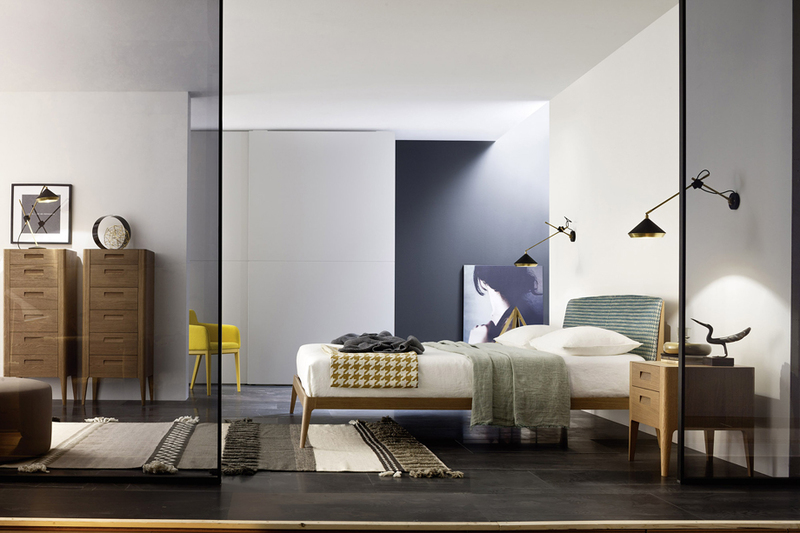 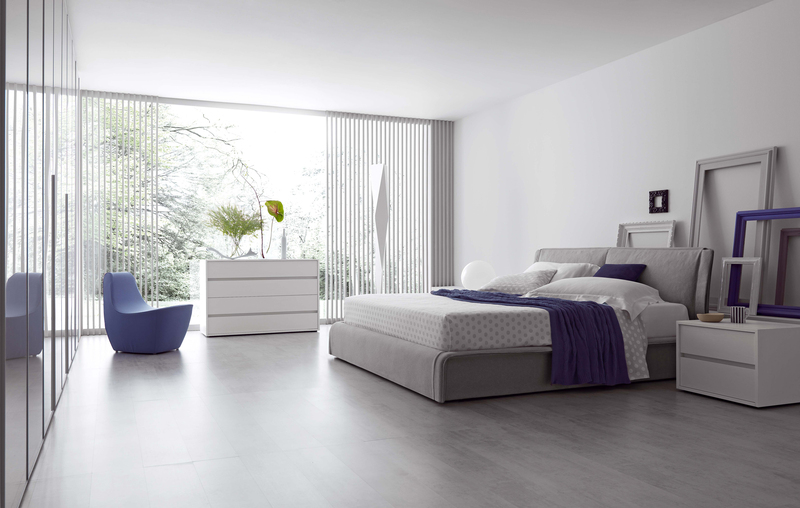 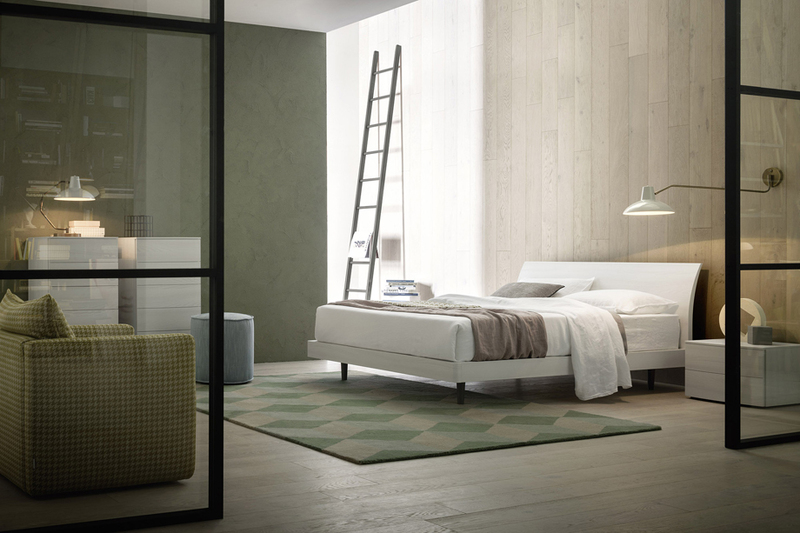 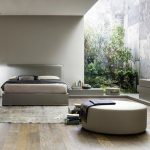 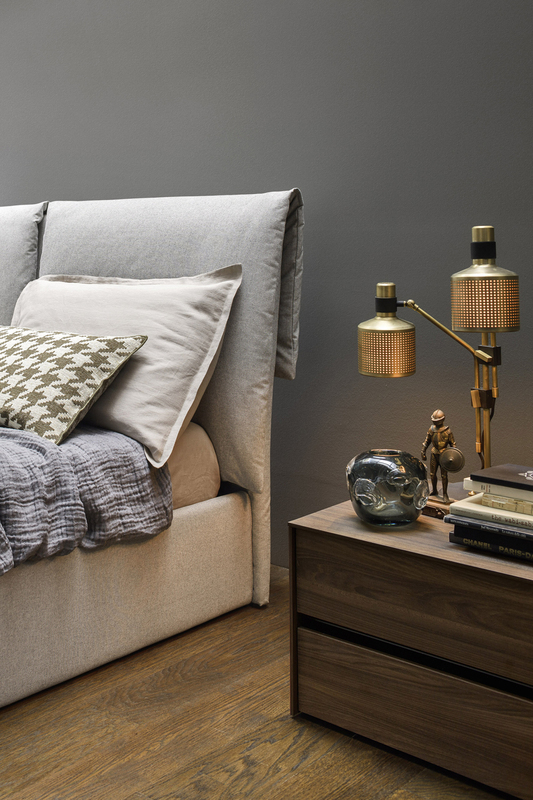 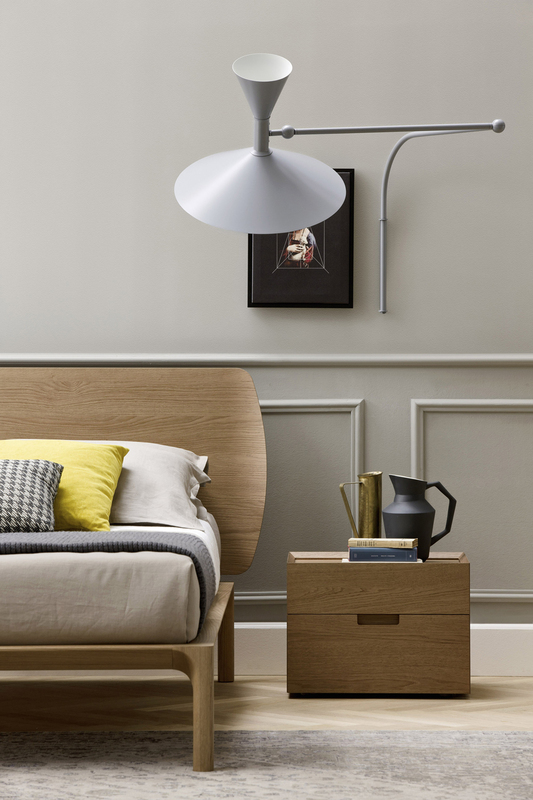 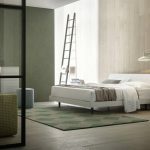 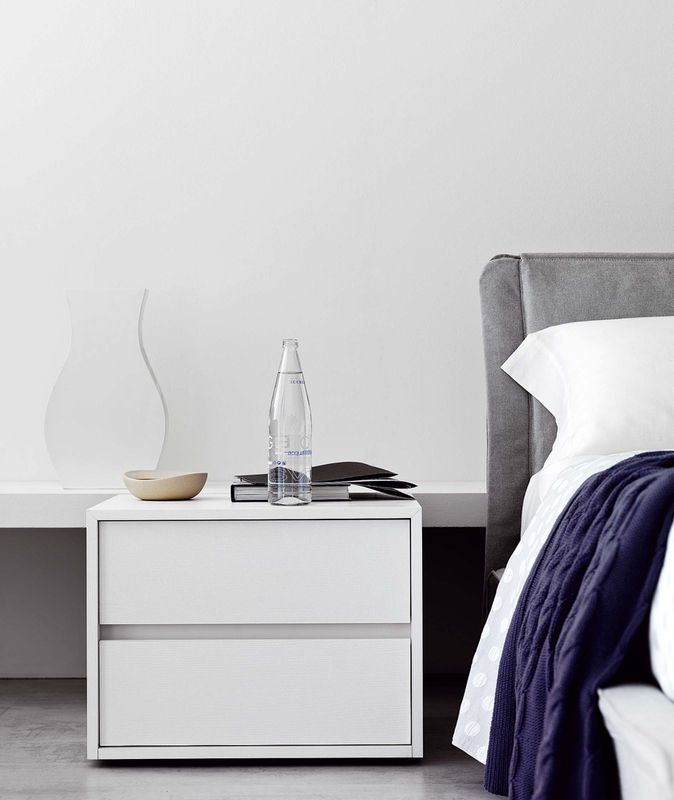 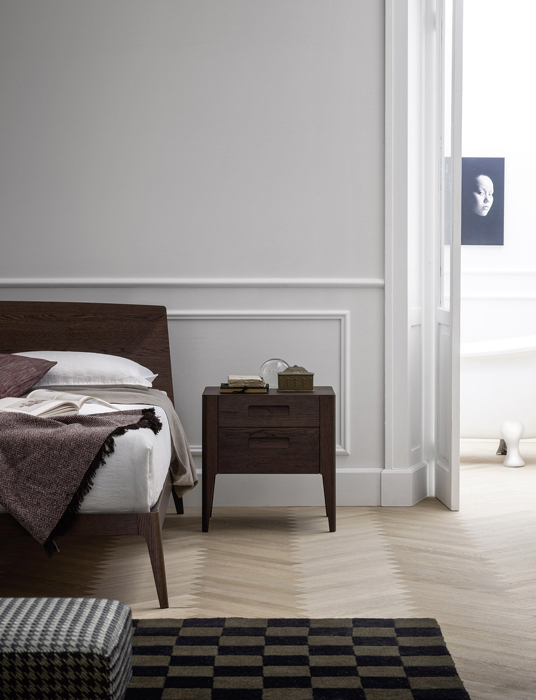 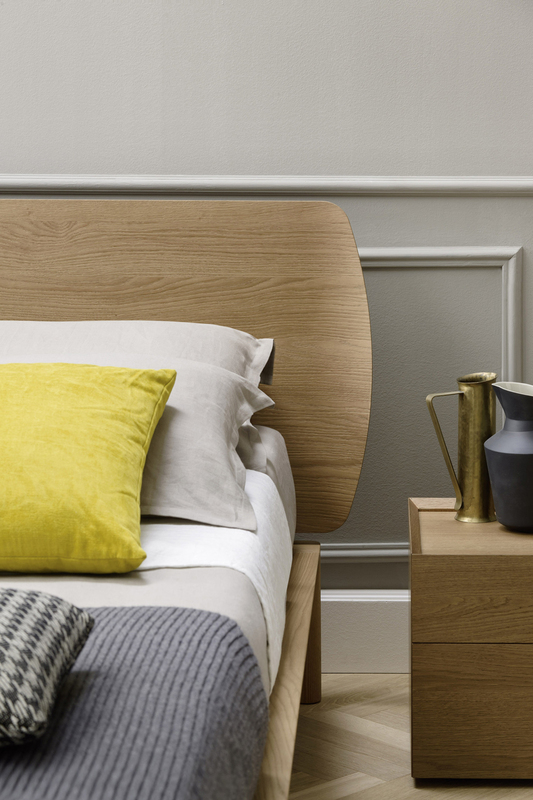 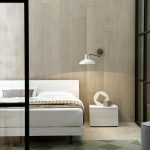 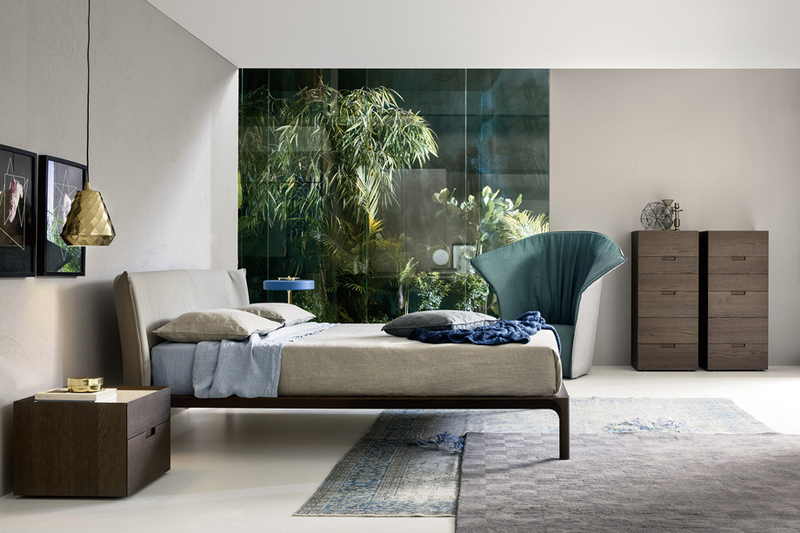 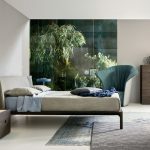 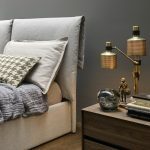 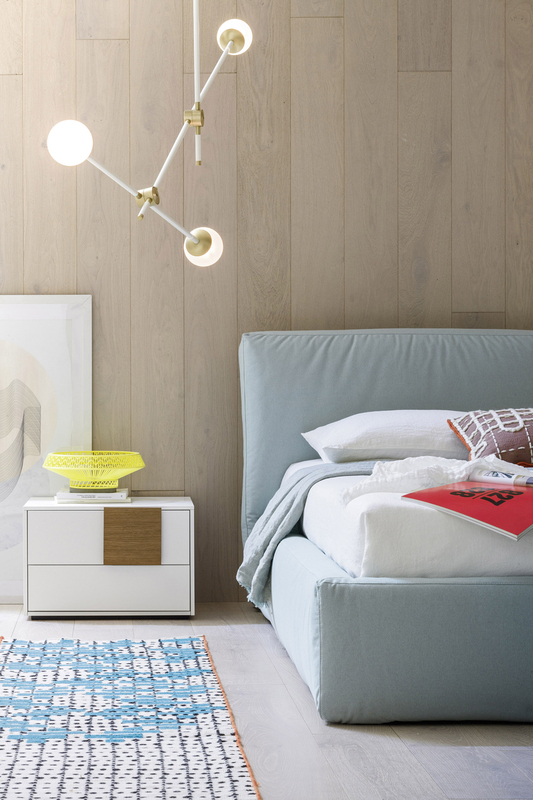 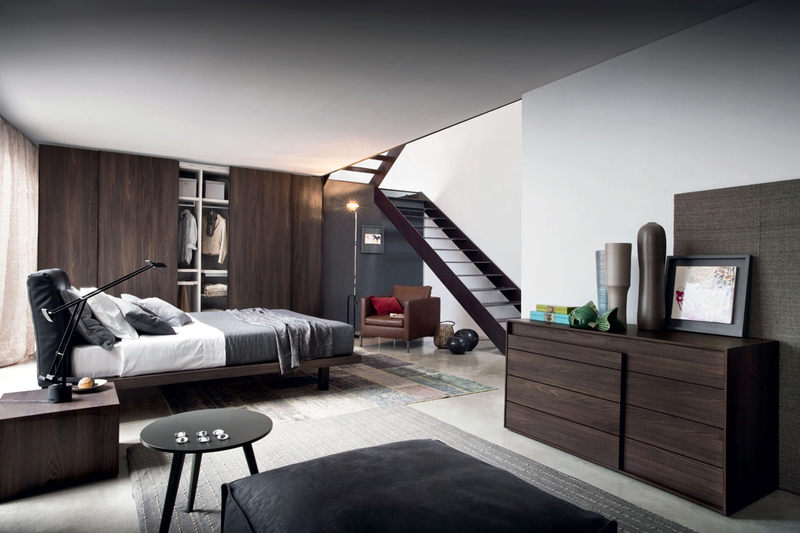 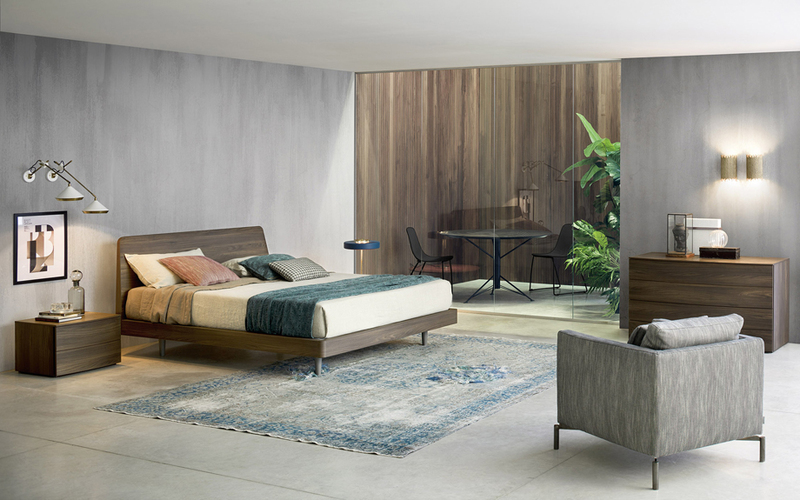 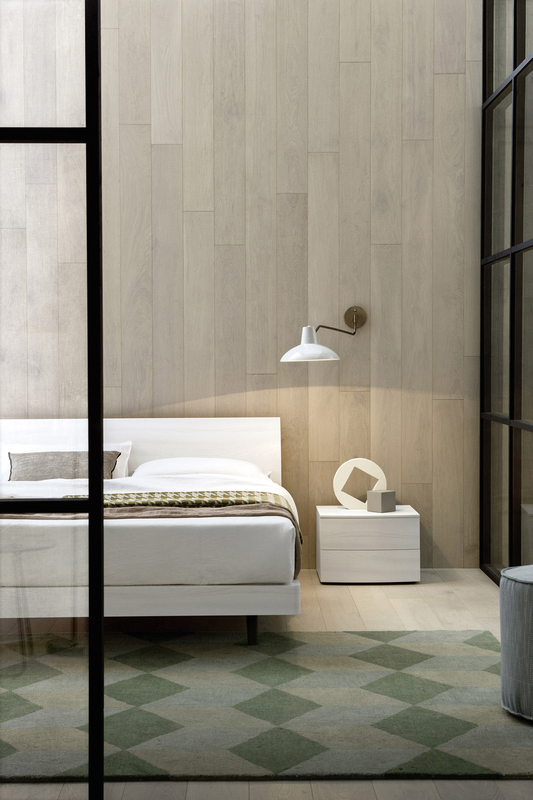 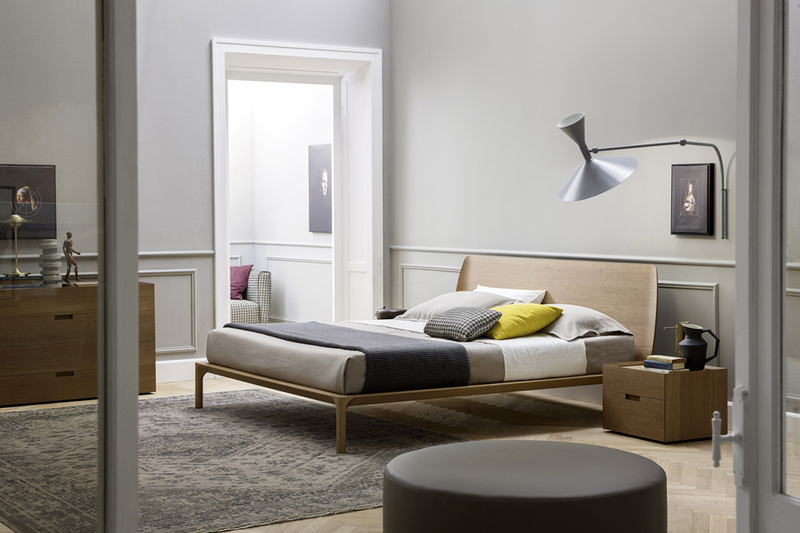 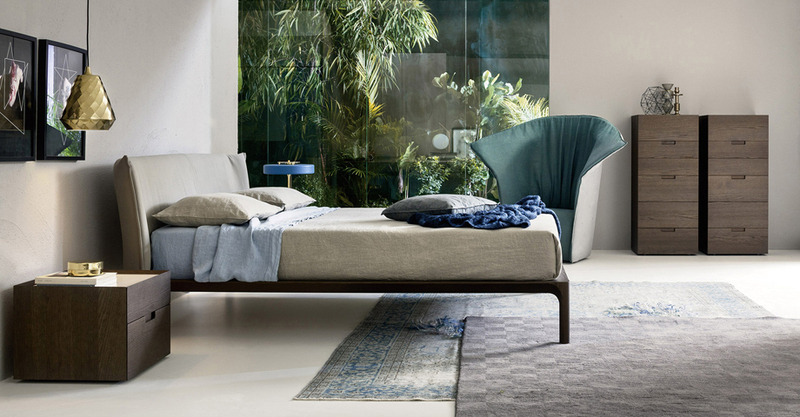 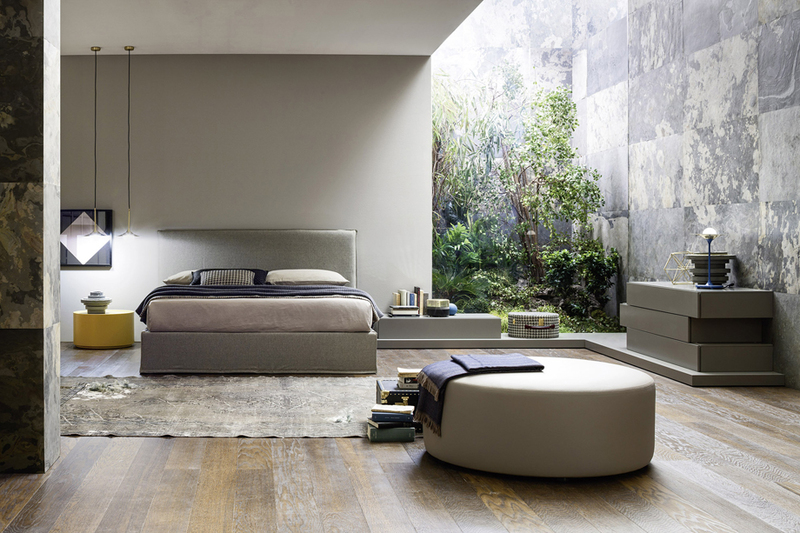 These units combine classic wooden finishes with contemporary shapes to make them the perfect addition to your bedroom. 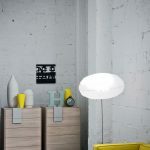 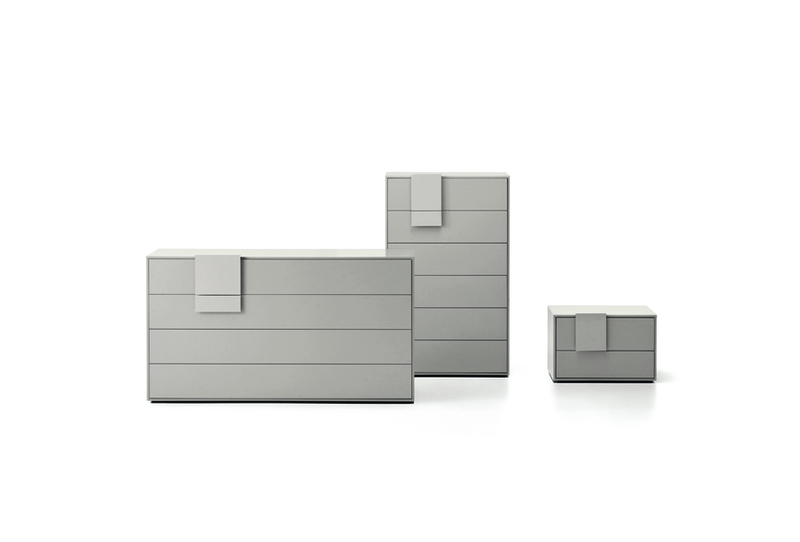 This collection consists of three different sizes. 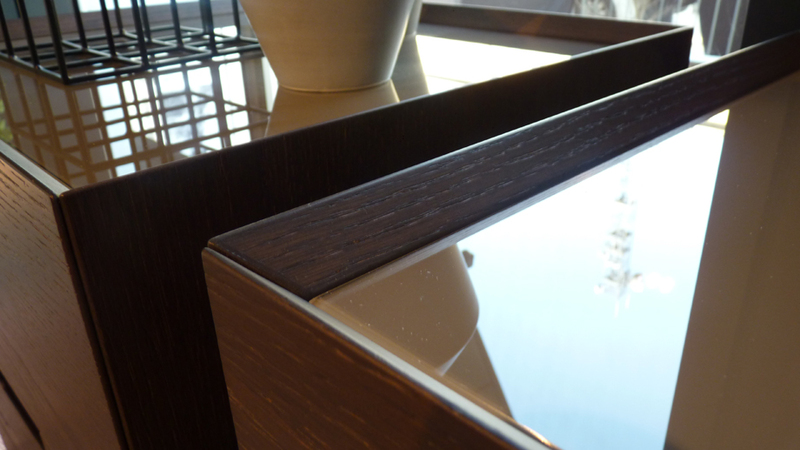 As an optional extra you can choose from a glass or marble worktop which slots into place. 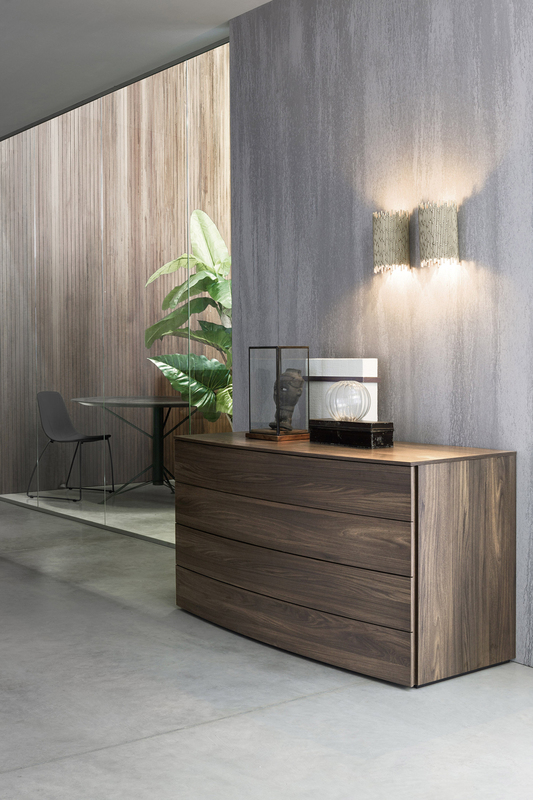 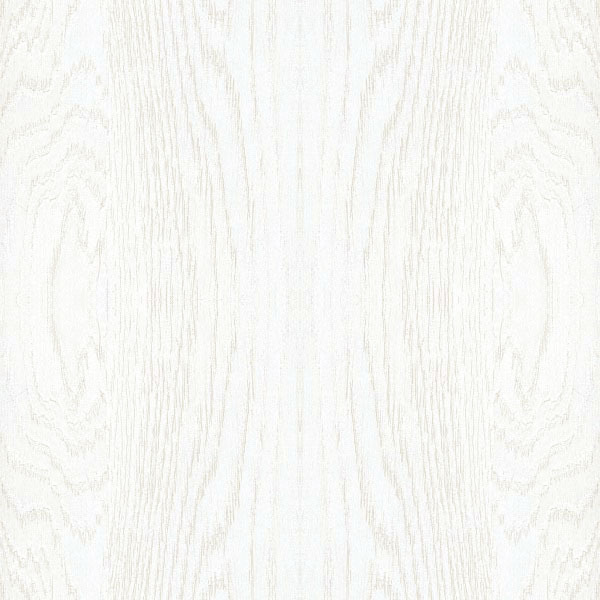 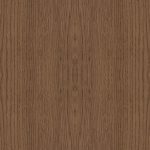 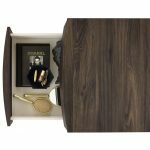 This range is available in our real wood veneers giving a classic finish while the inset handles add a contemporary twist. 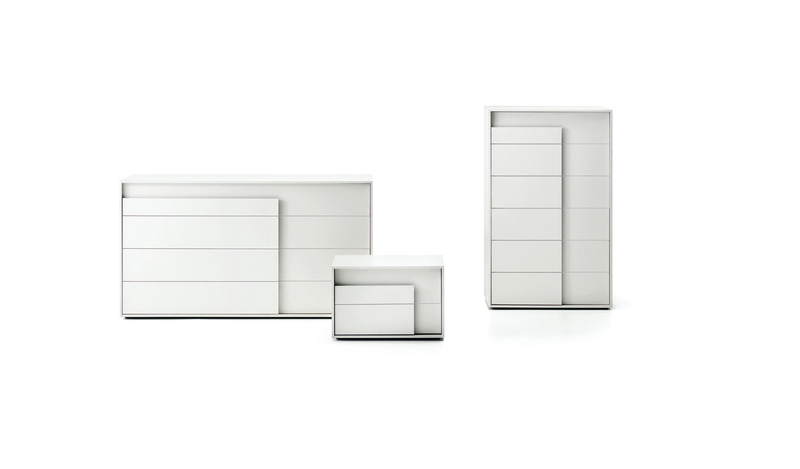 Also offering the three basic storage requirements the Giotto collection is another of our modern chest collections. 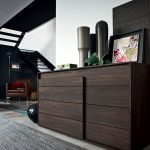 This range is available in our real wood veneer and the legs are solid wood. 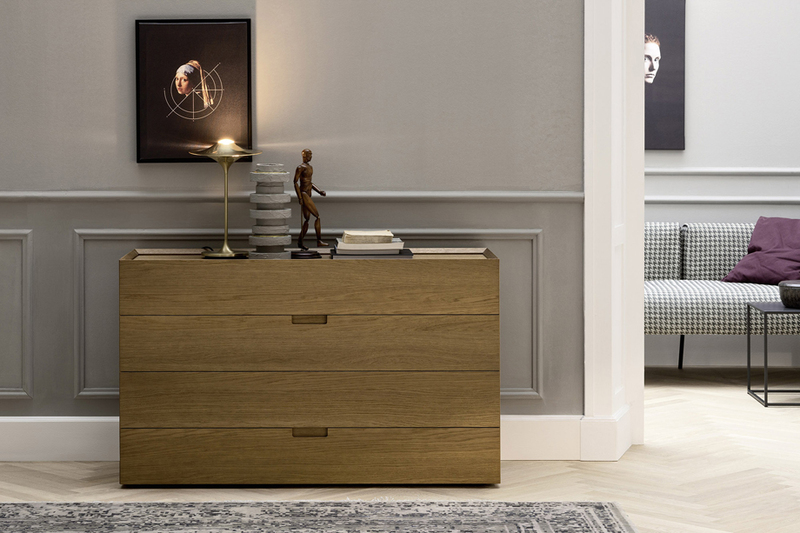 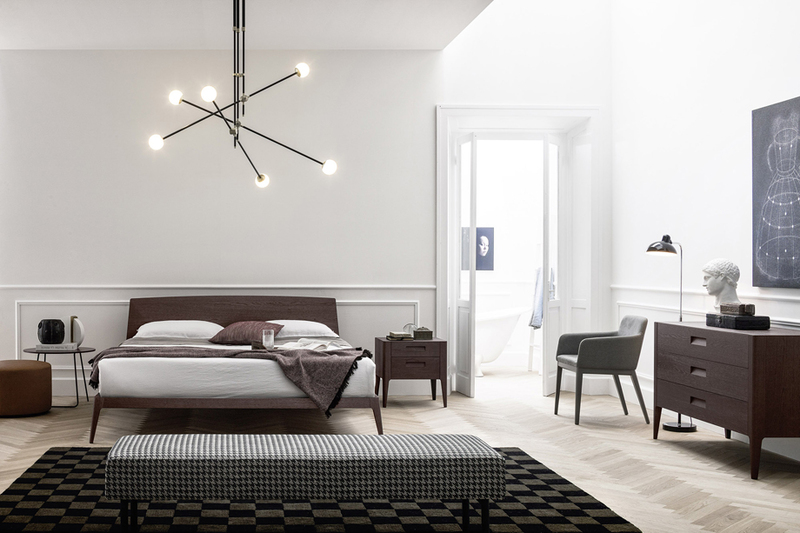 The Giotto is elegant and refined, this collection teams classic shapes with contemporary details to suit the modern home.